Pretty Ariel has an arts and crafts project, and we decided to do it over the weekend. We, because I dont think she and her group mate can build it by themselves. Its too difficult for their age, so the whole family decided to jump in. 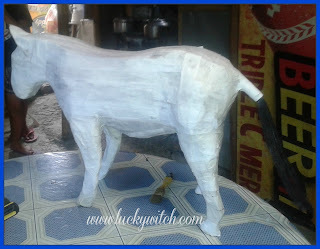 They were asked by their teacher to create a paper mache animal that is about 2 feet in size. Papa started early in the morning building the body or foundation of the zebra while I print the pattern for zebra. I traced the zebra in a large carton and attached it to the foundation that papa did. We then just filled up some areas with crumbled newspaper to make it look like a real zebra. 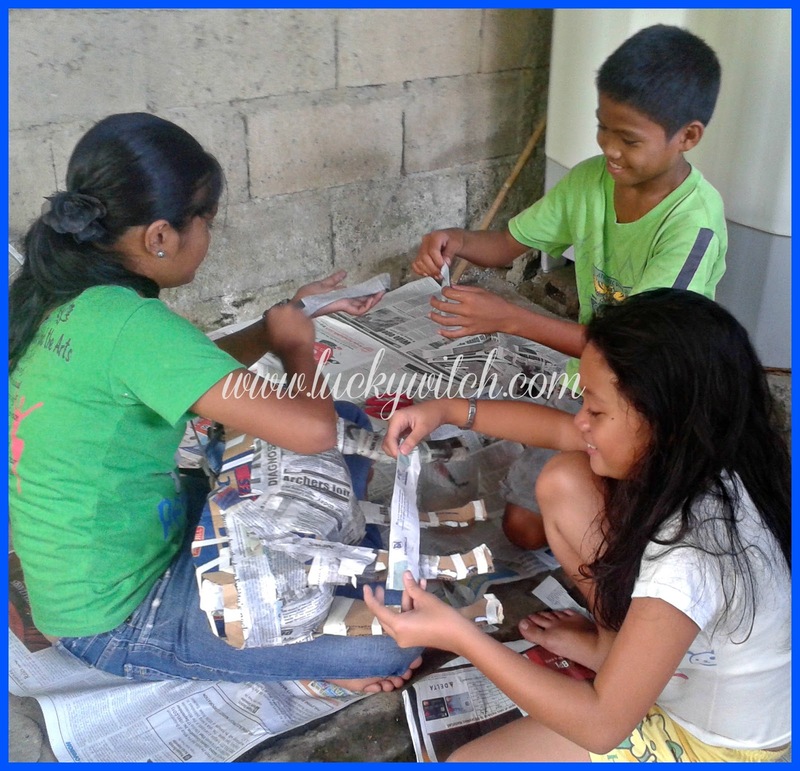 We added some muscles and curve using a folded newspaper. Then we covered the whole zebra with stripped newspaper and home made paste. We just let the day passed and allow the paste to dry fully. 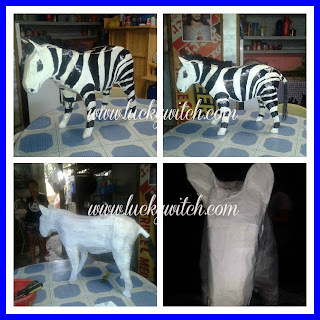 On the next day, we painted it with white and used a black marker pen for the stripes. I also coated it with natural varnish to make it glossy. All in all, it was a fun day for the whole gang. We are thinking of creating one for our own display.